Stephen is a lifelong New Yorker, coach, martial artist and SAG-AFTRA stunt performer. He holds black belts in Tae Kwon Do, Judo (under Gregg Humphreys), a Master of Sport in Combat Sambo with competition experience in multiple combat sports including San Shou, MMA, Grappling, Shuai Jiao and Sambo; earning a Shan Shou World Open Bronze Medal (1997) and Shuai Jiao US Open Gold Medal(2014). Stephen also spent several years training boxing under Peter Zaslow and was a USA Boxing approved coach (currently expired). 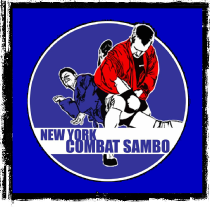 In addition to running New York Combat Sambo, which he founded in 2003, Stephen is an Association of Boxing Commissions approved MMA referee & judge and Class A International Referee for the International Combat Wrestling Federation. Training Combat Sambo since 1999 under retired Soviet Naval Officer and Sambo Instructor Alexander Barakov, Stephen is the only known American to have received a Master of Sport of Russia in Combat Sambo, granted by the FKE and registered with the Russian Ministry of Sport. Since 2007 Stephen has trained in Russia and Ukraine on multiple occasions at such prestigious academies as Sambo 70 (Moscow, Russia), The FKE Training Center (St. Petersburg, Russia), Suvorov Military Academy (St. Petersburg, Russia), Borec (Moscow, Russia) and Spartak Olympic Training Center (Alushta, Ukraine). He was the co-founder, President and chief official of the American Sambo Association from 2003 - 2015 and is currently the U.S. National Coach and Secretary General of USA Combat Wrestling. 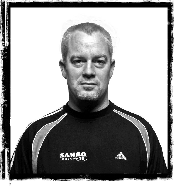 Stephen has coached his NYCS team to multiple victories in both national and international combat sports. Stephen is in great demand as a coach, having taught across the United States and internationally. Over the years Mr. Koepfer has counted among his academy students many military or law enforcement professionals including United Nations and Department of State Diplomatic Security Officers, NYPD, FBI, DEA and NY State Court Officers. He has been a guest instructor at West Point Military Academy, Ft. Campbell Combatives Program, the FKE training facility and Suvorov Military Academy in St. Petersburg, Russia and the Lowell, Arkansas Police Department defensive tactics program. Since childhood Stephen has dreamed of working in the film and television industry; even having attended film-making camp during several summers of his youth. As he grew older he continued to experiment with film-making. At first with an old super-8 camera of his father's and later with modern digital technology. After high school, where Stephen focused on visual art, he attended the School of Visual Arts in New York City on a full scholarship, earning his BFA. He earned is Master’s Degree from Hofstra University in 1998. While Stephen's professional life after college took him away from film and television, it was his life-long involvement in martial arts that brought him back to his original love. Recognized for his expertise, Stephen served as a technical adviser for Human Weapon (History Channel, 2008) and the season one finale of Dhani Tackles the Globe (Travel Channel, 2009), where he also appeared as himself. Stephen's inauguration as a producer came in 2011 with the acclaimed feature documentary New York Mixed Martial Arts. Stephen has been in front or or behind the camera on several other television, film and web-based projects in various roles including producer, director, actor, stunts and fight choreographer. Tyga started wrestling in 10th grade at Mt. Vernon High School in Mt. Vernon, NY in 1993. His first year wrestling, he quickly realized that there was more to wrestling than what he saw on T.V. as he finished with a 14-10 record. His second year he quickly turned that around with a 29-3 record, 3 consecutive tournament championships, became divisional champion and became co-captain of the team. He accredits this to the training he received at NY Athletic Club under coach Sonny Greenhalgh (World Freestyle Champion from Iran), Hamid Kermanshah, Florian Ghinea (2x Romanian National Freestyle champion and 2x Division 3 national champion at Montclair State). In his senior year, he posted a 33-2 record, became divisional champion again and finished 2nd in the Section 1 championships. After graduating high school, in the summer of 1996, he competed for the first time in freestyle and Greco-Roman wrestling. He won 3 freestyle tournaments, went 7-0 on the East Coast Wrestling Tour camp where he had one of his most memorable moments defeating a high school Freestyle national champion in Florida. He also qualified for the high school Greco-Roman National championships. He went on to wrestle at Hunter College under coach Bob Guadenzi in 1996. He achieved All-State at the NY State championships in his sophomore year in college. Due to financial and family commitments, he had to stop wrestling for his last two years of college but continued to train at NY Athletic club with many great wrestlers. He wishes to pass his love for wrestling onto others. Tyga began training Combat Sambo under Stephen Koepfer in 2008. In addition, Tyga holds a brown belt in BJJ under Marcello Garcia. He is the 2008 - 2009 North American Freestyle Sambo Champion (74kg). 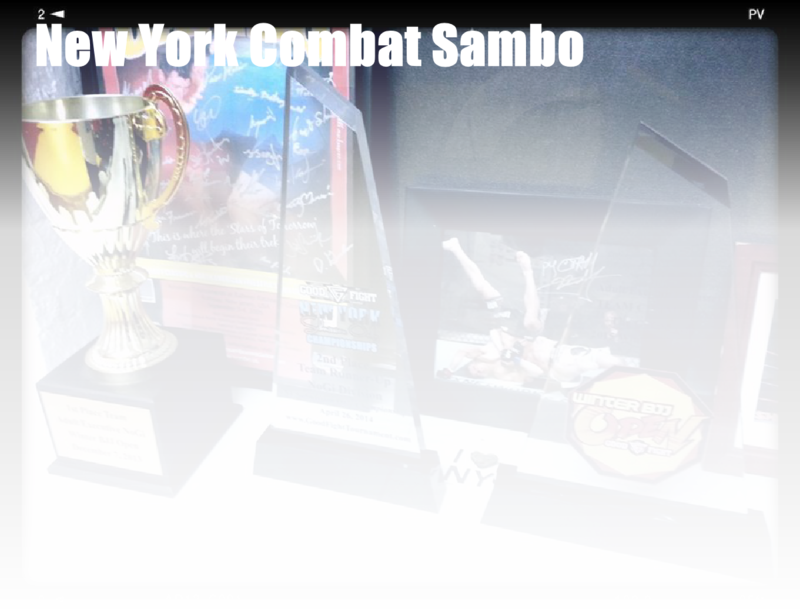 Alexius, who works as a senior court officer at the NYS Federal Court, has been training at NY Combat Sambo since 2007. In addition, he holds a Shodan in Judo and Japanese JuJitsu. Alexius’ competitive record is a long and accomplished one including a Bronze Medal (Judo) at the 2011 World Police & Fireman’s Games. He has placed in numerous other events including the Good Fight, World MMA Expo Takedown Tournament, Ultimate Sambo Submission Showdown, North American Freestyle Sambo Championships, and Canadian Freestyle Sambo Open. Paul Varacchi is a SAG-AFTRA Stunt Performer and certified Krav Maga Instructor; the only American certified by Professor Itay Gil of Protect Israeli Security Systems and the Director-in-Charge of Intelligence, Counter-Terrorism and Homeland Security Studies at Hebrew University. 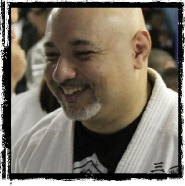 In addition to representing Protect Security in New York, Paul is the owner and head instructor of Flow Krav Maga, Assistant Combat Sambo Instructor at NY Combat Sambo and a Certified Freestyle Sambo Official. Paul is also a graduate of Douglas Crosby’s Fighting for Film workshop and has a life-long love of movies and stunts. Born in NYC in 1978, Paul has called many places home before returning back to this city that he loves. After studying International Hotel and Restaurant Management at Johnson & Wales Paul moved out West, which became the birthplace of Paul’s 20 year long career as a chef. After returning to NYC, Paul worked in many esteemed restaurants, including the Spotted Pig. It was through a coworker at the Spotted Pig that Paul met Riley Bobycomb, World-Class Grappler who would become Paul’s sambo and mixed martial arts coach for six years. It was through Riley that Paul got to know Stephen Keopfer (Reily’s teacher). Coincidentally it was the very show Stephen worked on, Human Weapon, which introduced Paul to Itay Gil. After years of intense training, Paul received his Krav Maga Instructor Certification from Itay Gil. This did not come without its challenges, including a ruptured Achilles tendon. Not one easily deterred, Paul continued the brutal course of study. He left Israel with an Associate Instructor ‘s certificate and a date with a surgeon. Paul received his full certification after another year of training, including his final exam in Jerusalem. While in Israel, Paul also completed a week long training course with Haim Gidon, Grand Master of the IKMA (Israeli Krav Maga Association). 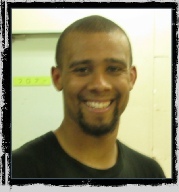 Victor began training at New York Combat Sambo in 2012. Since beginning his competitive career in 2014, he has achieved many accolades including Gold Medal - Arnold Classic Sambo Championship (2017 & 2018), Gold Medal - AMMO Sambo Open (2018), Gold Medal - Good Fight Winter Open Submission Only (2015), Silver Medal - USA Sambo National Championships (2018), Silver Medal - North American Freestyle Sambo Championships (2015), Silver Medal - Virginia Freestyle Sambo Open (2015), Silver Medal - Arnold Classic Sambo Championship (2015), and a Silver Medal - Shuai Jiao US Open (2014). 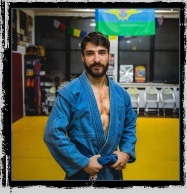 In 2017, Victor joined the staff at NYCS as an apprentice Sambo coach. Hector was an all-league and all-section high school wrestler. He finished his senior year season at Pawling High School 33-3 having won all local tournaments and beating various state caliber competition. He attributes his most significant growth in wrestling to the Ironmen Wrestling Club where learned under the tutelage of Coach Jim Baker, Coach Egitto and Coach Warren. He began training at NY Combat Sambo in 2016 and he competed at the Arnold Classic and the USA National Sambo Tournament in 2017; he received Silver and Bronze in these tournaments. 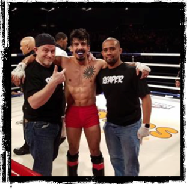 He made his amateur MMA debut at MSG in the summer of 2017 winning a unanimous decision and he made his amateur Muay Thai debut October 2017 winning a split decision. Most recently Hector returned to the 2018 Arnold Classic Sambo Championship and brought home Gold, as well as a Silver at the RISE Sambo Championship and Bronze at the USA Combat Wrestling Nationals.